Hardly Housewives: Cracked Pots in the Herb Garden... Again! 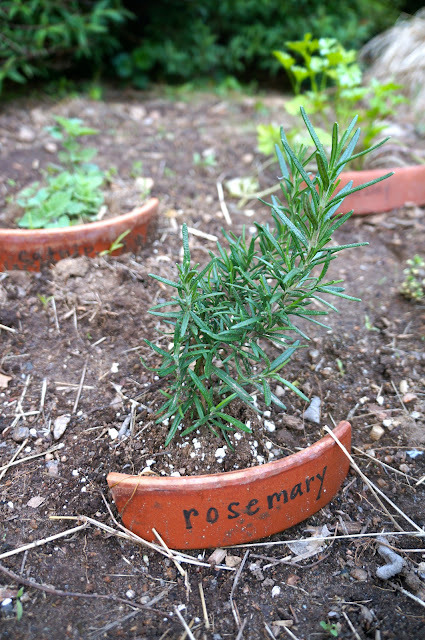 If this seems like déjà vu, it's because this is a redux of my herb garden post from last year. 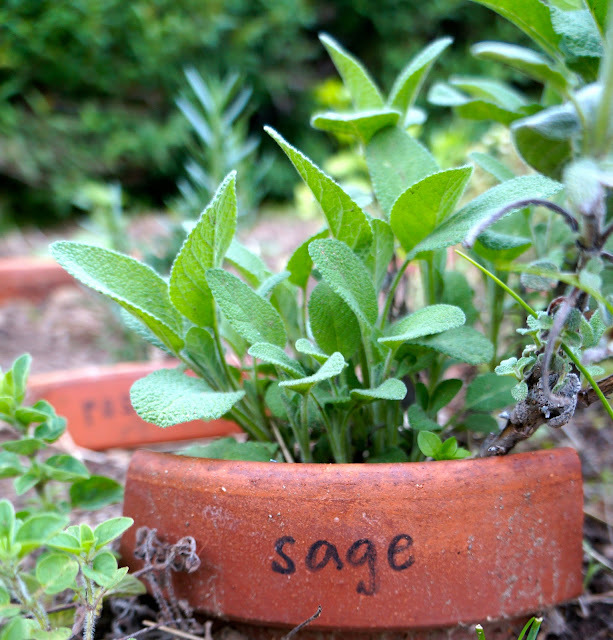 A few herbs survived the cold New England winter - oregano, thyme, and sage. My rosemary lasted through at least February, when I grabbed a bunch to make Jesse a pork roast, but I must have picked too much because the plant was dead when I went to weed. Speaking of weeding, it was done over a couple of 45-minute sessions while Will snoozed in the shade. Once I had excavated the little plot, I turned the soil, added a bit of fertilizer, and planted the new herbs alongside the hardy ones from last year. I've already picked leaves from many of these herbs for a herbed quinoa that I made this weekend (SO good... recipe to follow) and can't wait to cook with them all summer! Here's to tasty basil, salsa, marinades and more!